Product prices and availability are accurate as of 2019-04-20 10:18:27 UTC and are subject to change. Any price and availability information displayed on http://www.amazon.co.uk/ at the time of purchase will apply to the purchase of this product. 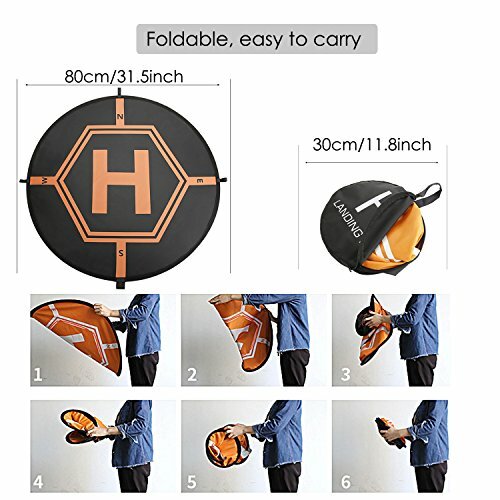 AttoPro high quality drone landing pad is light and portable, easy to storage it in the zipper bag with hand strap, convenient to carry it outdoor. Enjoy your drone any time and any occasion. 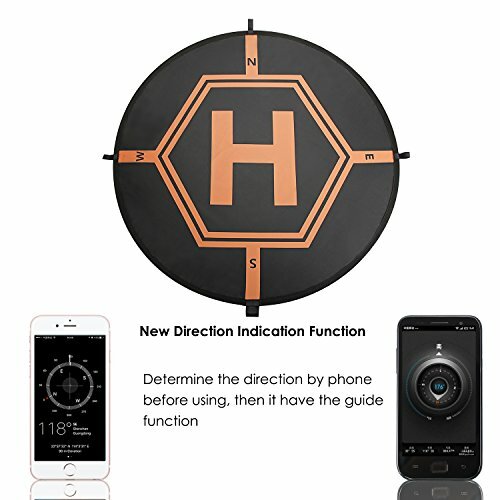 You can calibrate the compass around the airfield, which is convenient for one-key returning.
? 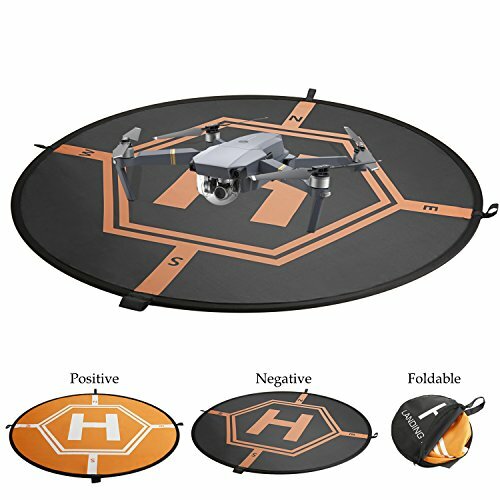 Wide Compatibility & Large Enough - Double sides 31.5"(80cm) portable landing pad for DJI Phantom 2/3/4/4 Pro, DJI Inspire 2/1, DJI Mavic Pro, GoPro Karma, 3DR Solo drone, Parrot drones, Antel Robotic X-star, Syma, Hubsan, Holy Stone, UDI drones. ? Special Design, Easy to Fold & Unfold - Double side double color design. Application of different occasions, Highlight the location of the Helipad. Special carry bag design, easy to fold & unfold, convenient to carry out. ? Waterproof Material - Waterproof high-quality nylon with precision printing on double sides, sun-protection, not easy color fading. ? 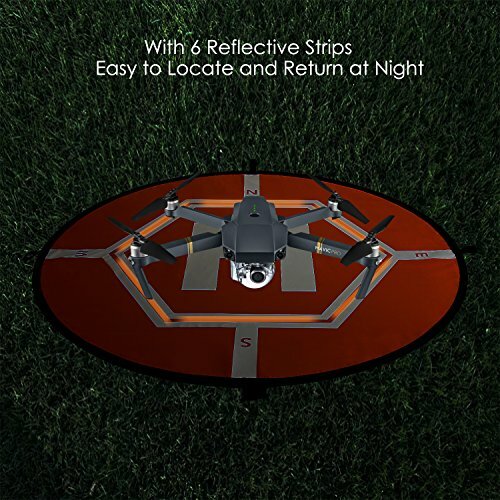 Thoughtful Function - It comes with 4 land nails that help the landing pad work perfectly in windy environments/sandbeach/snow; and luminous reflective strips that can be pasted on the landing pad for a good view while night fly. Please paste them to the outer of the printing circle. (When use in poor light Landing, please illuminate it with strong light first.) ? Package Includes & Satisfaction Guarantee - 1*Landing Pad + 1*Carrying Case + 4*Nails + 8*Reflective Strips. 12 month Warranty and 45 Days 100% Money Back or Free Exchange Guarantee. Please feel free to contact us at any time by e-mail.